For many years the party and event rental industry faced a stark purchasing choice: buy U.S. made quality equipment at prices that made it difficult to turn a profit OR take a chance with imported equipment that promised the right price but dubious quality. After numerous years in the business AVI MAXIM principals recognized the advantages of well priced quality imports for event professionals and set out to deliver it. Frankly, it required a new approach: instead of buying existing imports from faceless factories overseas and keeping fingers crossed that production would not be materially different from samples, AVI MAXIM went into partnership with factories that promised a commitment to U.S. standards of quality. It took some time but the effort was rewarded with competitively priced, quality equipment that is tested daily to various American production standards. As a result, over the past 17 years AVI MAXIM sales have increased. As currency rates fluctuate and raw material costs escalate overseas, AVI MAXIM is finding more and more parts and finished goods available from U.S. suppliers. Rest assured that, where possible, we will buy American unless it compromises the profitability of our customers. Our customers goodwill and long term viability must be our overriding concern. AVIMAXIM.COM is an online store, a distributor of quality, professional-grade event equipment. We offer a full spectrum of other event equipment from leading manufacturers. Our customers include party rental companies, event venues, golf clubs, hotels, schools, churches, and homeowners hosting their own events. You may not find a company more knowledgeable about its catalog, and certainly none more willing to help. Our customers benefit by receiving the best recommendations for their specific application. 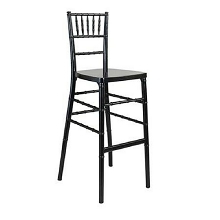 Whether you need folding chairs and tables for your new event venue, or your just need to refresh some inventory for your 30 year old party rental company, we are confident we have the selection and experience to help. We're familiar with some other sellers of similar equipment who aren't as forthcoming about their true business practices. It's unfortunate, and many of our current customers came to us after having negative experiences with these online sellers in the past. Though it can be difficult to determine which company they could trust, those customers continue to buy from us because we come through on our promises, and make every effort to deliver on time and as promised. Damaged goods in transit are quickly addressed, orders are shipped promptly, and those unscrupulous sellers are left in the dust. We're proud members of the Better Business Bureau, with a goal of maintaining an "A" rating and 100% customer satisfaction.